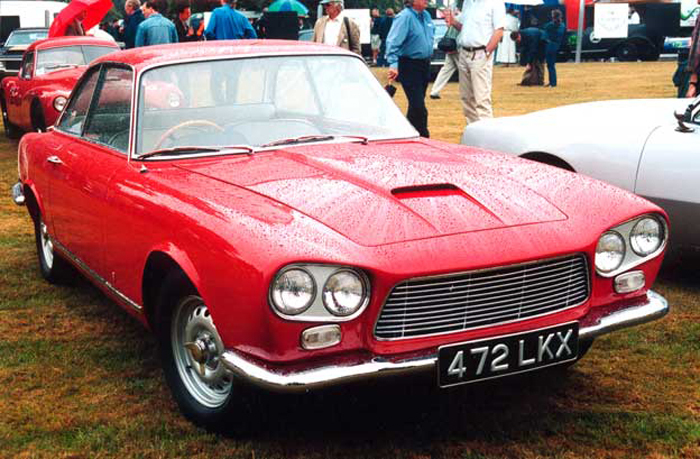 Welcome to the Gordon Keeble Owner’s Club Official Website. In 2014- The Club celebrated fifty years since the production of the car started in 1964.
famous for the production of the early Supermarine “Spitfire” aircraft. You can access this section directly by clicking here . This car is the Prototype of the marque. It has a metal body shell designed by Giorgetto Giugiaro on a space-frame chassis. It is powered by an intermediate-sized Chevrolet Corvette engine, triple Rochester carburettors, a close ratio gearbox, De Dion rear axle and four wheel disc brakes. The car could reach 70mph in first gear and 140mph maximum - any more than this was considered to be superfluous in 1960. Production finally got under way in 1964 but industrial action limited the supply of steering boxes which caused financial difficulties from which the company never fully recovered. 91 cars were completed before the company liquidated in 1965. Restarting that year as Keeble Cars Ltd, production continued slowly prior to moving the factory to Sholing, Southampton where the last 8 cars were completed. In total, 99 cars were completed with enough spares remaining for the 100th example to be privately constructed elsewhere in 1971.